When Sonia receives the news that her husband’s cancer has progressed to a terminal stage, she races to secure the insurance company approval for the care that can help him. Met with indifference and negligence at every turn, Sonia’s desperation triggers a primal survival instinct as a series of increasingly violent confrontations unfold. 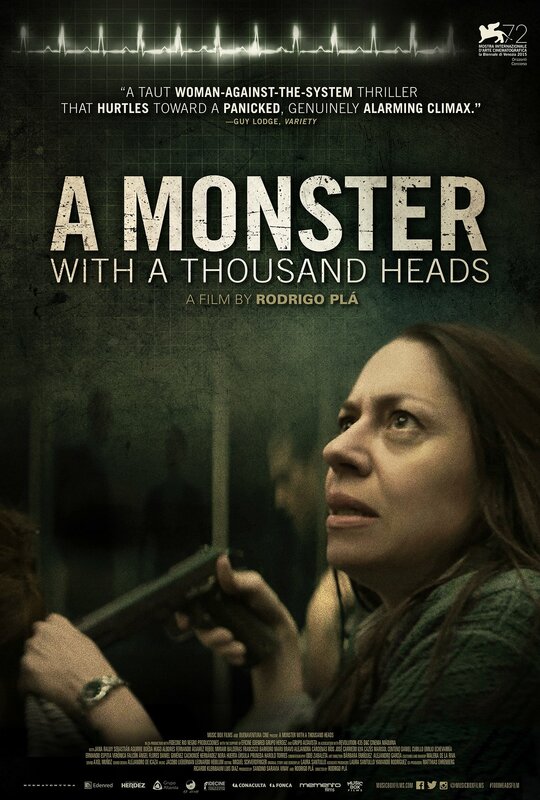 A sharp, urgent tale of a distraught woman intent on protecting her family at all costs, Rodrigo Plá’s latest film is an engrossing combination of thriller, drama and timely socio-political commentary. "No party emerges undamaged or unsullied in this one-against-the-system tale." "Brilliant...[a] classily dark arthouse thriller." Jana Raluy. Courtesy of Music Box Films. Jana Raluy and Veronica Falcón. Courtesy of Music Box Films. Sebastián Aguirre, Noé Hernández and Emilio Echevarría. Courtesy of Music Box Films. Jana Raluy and Daniel Cubillo. Courtesy of Music Box Films.